Father's Day is right around the corner. When my kids were little, my husband always complained that he never got any sweet handmade gifts from the kids. School was usually out by the time Father's Day rolled around, and while the moms were usually gifted some handmade sentiment, the dad's got left out in the dark. Don't leave that special dad or grandpa out in the dark! 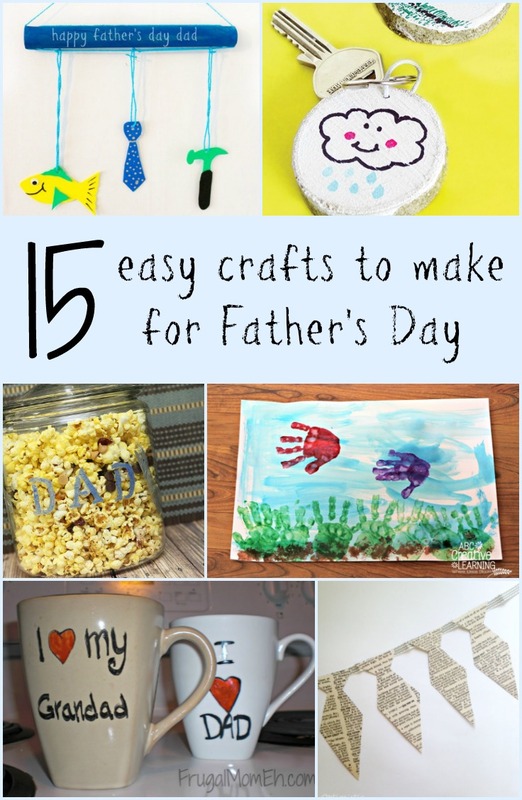 Spend some time making these 15 easy crafts for Father's Day.